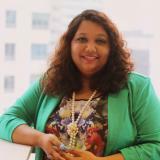 Anila Fredericks is Head of Customer Service Operations at Telstra. She leads teams managing the Network Operations Centre and the Service Desk that are focused on building, managing and developing end-to-end operational capability to deliver a world class customer service experience to Telstra customers. She strives to drive significant systemic improvements delivering uplifted capability, ensuring her team exceeds the customer’s expectations. Starting out as a graduate trainee, Anila went through job rotations in different parts of the business and a career focused on enhancing customer experience is what she chose. Keeping the customer at heart, Anila has built great credibility in managing high performing teams. She is passionate about diversity and is an active member of Telstra’s International D&I council. Anila has an Undergraduate Degree in Pharmacy and an MBA and Postgraduate Diploma in IT Systems. Spanning 20 years, her career has covered sales and service operations in highly competitive, high volume environments, consistently exceeding sales / service objectives and retaining client loyalty. These achievements have been built on sound planning and organisational ability, pragmatic decision-making, effective competitor analysis and innovative solutions to customer service and staffing problems.